diagnostics, digital radiography, and the personal care and attention you and your pets deserve. The little dog in the logo at the top is Snookums, boyhood pet of Dr. Cribb's father. He drew this picture on a blackboard with chalk and then carved it into the blackboard with his pocketknife. Dr. Cribb still has the chalkboard with Snookums on it. Dr. Cribb grew up on a farm in Georgetown County, SC . He received a B.S. in Agricultural Engineering from Clemson University in 1984 and his Doctor of Veterinary Medicine degree from the University of Georgia in 1988. 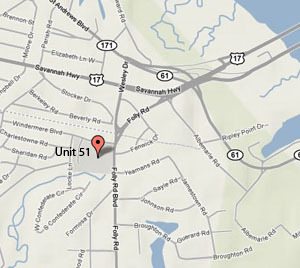 He began practice at Cottingham Veterinary Hospital in Kingstree, SC, where he met his wife, Kari. 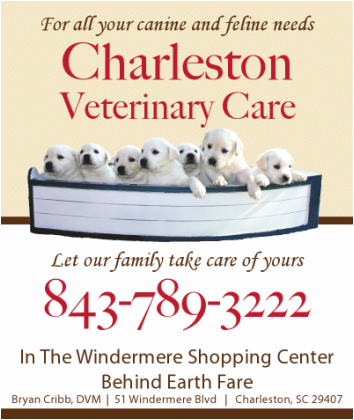 Since 1990, Dr. Cribb has been practicing in the Charleston area, and, in 2011, opened Charleston Veterinary Care in the South Windermere Shopping Center. The Cribbs have three daughters and live on James Island.